The European Pharmacopoeia enters into force as a legislative basis in Denmark in the form of the executive order Danish Drug Standards, which is published three times a year. It takes place synchronously with the entry into force of the supplementary volume to the European Pharmacopoeia. This takes place after a recommendation from the Danish Pharmacopoeia Commission. The Pharmacy Subcommittee, which focuses on the manufacture of completed medicinal products based on pure active pharmaceutical ingredients (APIs) and excipients. The Chemistry Subcommittee, which works on methodology development concerning substances manufactured by chemical synthesis or processing of naturally occurring substances. The Pharmacognosy Subcommittee, which assesses plant medicines. Within these three fields, the subcommittees give advice on quality requirements for medicine and the raw materials used in the production of medicine. In principle, the subcommittees can deal with any topic, but it cannot make any decisions. Each of the three subcommittees under the Danish Pharmacopoeia Commission meet with representatives from the Danish Medicines Agency four times a year. The Danish Pharmacopoeia Commission consists of no more than 6 members. The commission members are appointed for four year terms. a meeting between the Danish Pharmacopoeia Commission and the Danish Medicines Agency where the latter's management participates. a meeting between the Danish Pharmacopoeia Commission and the Danish Medicines Agency where the Danish experts from EDQM's group of experts participate. The meetings are usually held at the Danish Medicines Agency. It is important that the Commission includes representatives from the widest area possible. The members must have detailed knowledge of development and technical quality and control of precursors and medicine. Even if the members are often affiliated with e.g. universities and the industry, the Danish Medicines Agency emphasises the members' personal expertise and not their place of work. The Danish Medicines Agency invites interested parties to nominate members to the Danish Pharmacopoeia Commission. Anyone can nominate members to the Danish Pharmacopoeia Commission. Self-nomination is also possible. The Minister for Health and Prevention appoints members after they have been nominated by the Danish Medicines Agency. Apart from suggestions from individuals, the Association of Danish Pharmacies, Pharmadanmark, the Danish Association of Pharmaconomists, etc. can suggest members. The Minister also appoints a Chairman and a Vice-Chairman among the Commission members – independently of the Danish Medicines Agency's nomination. The commission members must have an in-depth knowledge and practical experience with manufacture and/or control of active substances and preparations. A commission member must not participate in the discussion of a topic if he or she has a personal interest in the topic, or if there are any other circumstances which could question his or her impartiality. Members must inform the Commission of any potentially conflicting interests before the discussion of a topic begins. The Commission decides whether the member may participate in the discussion. The Commission's decision must be recorded in the minutes. The commission members are bound by professional secrecy regarding the confidential information they gain knowledge of as members of the Commission. It is the responsibility of each individual member to ensure that the material the member receives as part of serving on the Commission is not disclosed to any third parties. When a member resigns from the Commission, the member concerned must return all confidential material received while serving on the Commission. 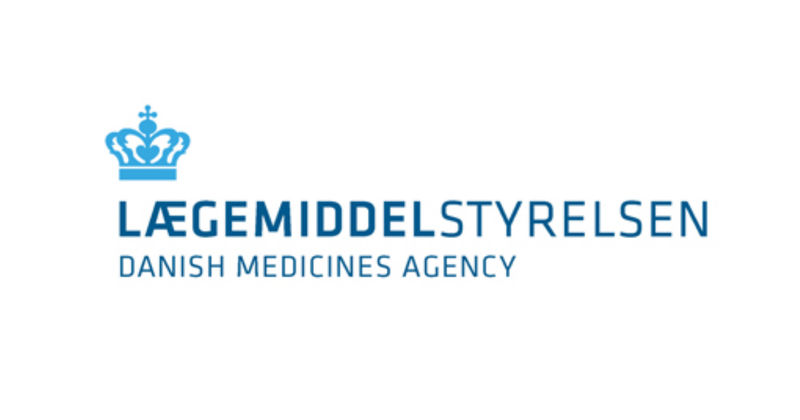 The Danish Medicines Agency provides a secretariat for the work of the Commission. The Danish Medicines Agency's CEO decides the extent to which the secretariat may assist the Committee. The Chairman and the secretariat are responsible for the preparatory work of presenting cases to the Commission. The Chairman summons the committee meetings in writing with at least eight days notice if possible. The secretariat may also summon meetings if the Chairman authorises it to do so. Draft minutes are sent out in Danish as soon as possible and at the latest when the next ordinary meeting is summoned. Any objections to the minutes must be submitted no later than at the next ordinary commission meeting. However, the Chairman and secretariat must be informed immediately if objections are made to the way in which the content of a discussion is presented. Subsequently, the minutes are published in Danish on the Danish Medicines Agency's website. The Danish Pharmacopoeia Commission does not make any decisions, but it makes recommendations to the Danish Medicines Agency based on the Commission's discussions. The Pharmacopoeia Commission's meetings are not public. The Commission may only hold meetings with third parties if it has been agreed with the Danish Medicines Agency in advance. Employees from the secretariat and other employees from the Danish Medicines Agency can attend the meetings to the extent the Chairman decides. The commission members must to the extent possible inform the secretariat if they are unable to attend a commission meeting. A meeting is postponed if both the Chairman and the Vice-Chairman are absent. The Vice-Chairman acts as Chairman if the Chairman is absent for a long period of time. Minutes of the meetings of the Danish Pharmacopoeia Commission are published here at the Danish Medicines Agency's website. where and when the meeting was held. names of meeting attendants, including the name of the minute-taker. Commission members are remunerated in accordance with Danish Government regulations.